The thankyou page get the custom css, it could be an idea to implement that on the disable warning page too. I hope that is an easy way to solve this. I have forwarded this to our developers as a feature request. Unfortunately, we cannot guarantee that this will be implemented anytime soon. For the meantime, if I may suggest, you can use conditional logic to display a custom message telling the user if the form is somewhat "disabled". Here's my sample form: https://form.jotformpro.com/70742289466971. 1. First, I added the "Short Text Entry" or text box. This is where the status of the form is set. 2. In my case, the default value is set to "Disabled". 3. I then use "Section Collapse" or Form Collapse fields to group the fields on my form or create sections on it. 1st section collapse: "Form Disabled - Message"
2nd section collapse: "Form Enabled - Main Form"
4. Now I want to hide the actual button and I want it by default automatically opens the section. 5. Now we need to set up condition logic wherein we will display a specific section based on the status set in the text box. IF "Status" text box is EQUAL to "Disabled"
THEN Show "Disabled Form - Message" section. IF "Status" text box is NOT EQUAL to "Disabled"
THEN Show "Enabled Form - Main Form" section. 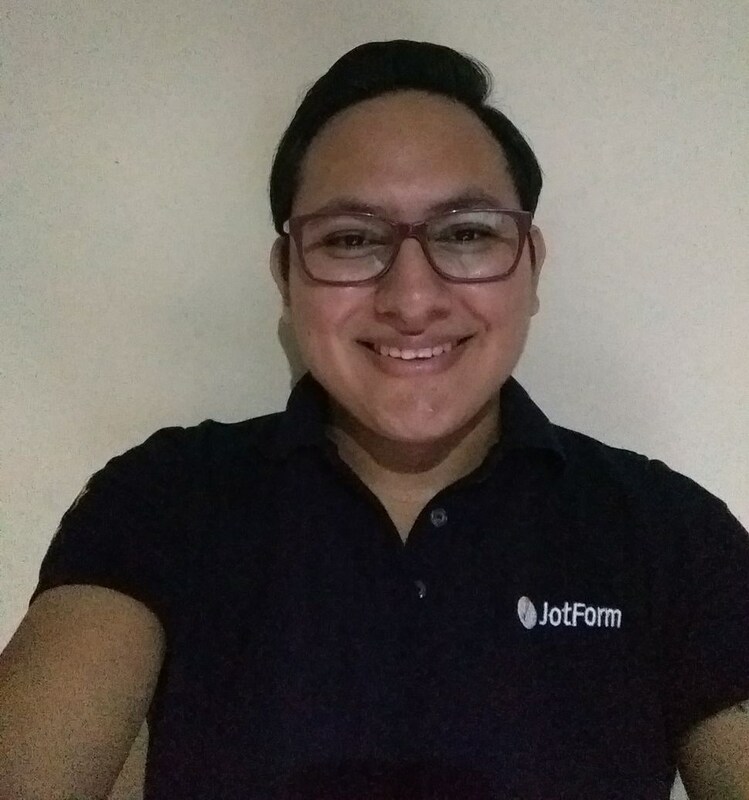 There's a specific guide that helps you understand the relationship of the form collapse to the conditions, here's a guide that you can check: https://www.jotform.com/help/297-Show-or-Hide-Multiple-Fields-at-Once-Using-the-Form-Collapse-Tool. You now have somewhat a customize page for a form that is somewhat "disabled". 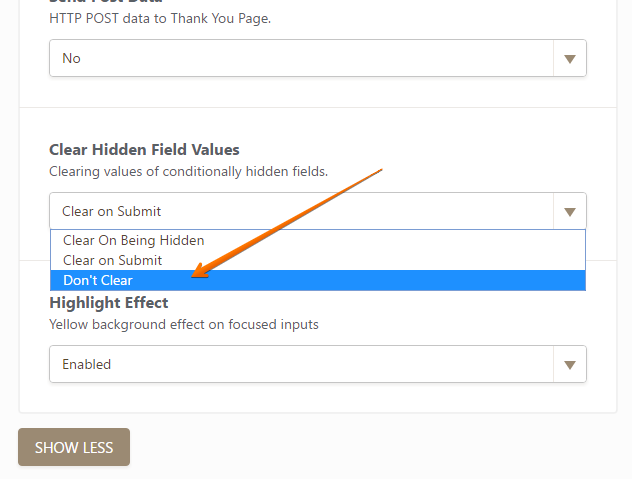 This help me if it is possibel to set the count of submissions in the status field. I can't find any method to do this. Use our Submissions Counter widget: https://widgets.jotform.com/widget/submissions_counter. 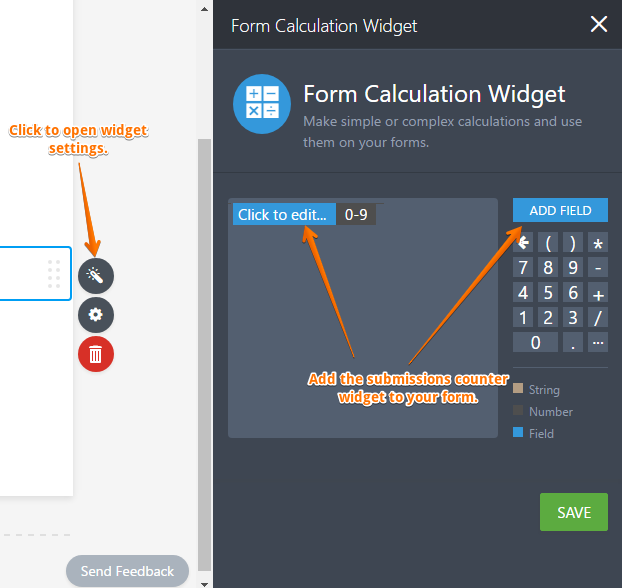 Also, using the Form Calculation widget seems to allow you to capture the submissions counter value, as shown on my form, you only need to add the widget to your form and then include the submissions counter in the calculation widget. Do let us know how it goes on your end. I have manual set status to Disable because it's a form that's live. 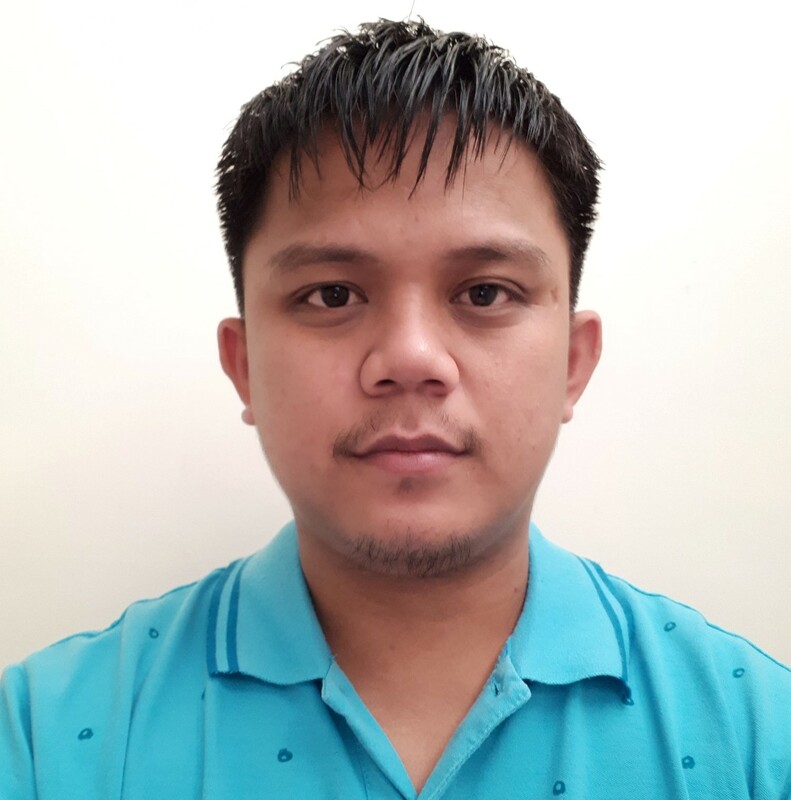 When the Submission field not is hidden it works, when it is hidden it don't work. 1. 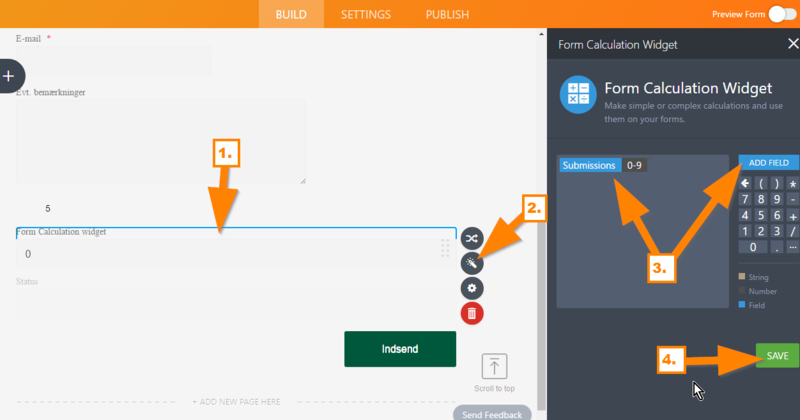 First, I added the Form Calculation widget. 2. Then in the form calculation widget's setting, I added the submission count's value. Let us know if that will work. 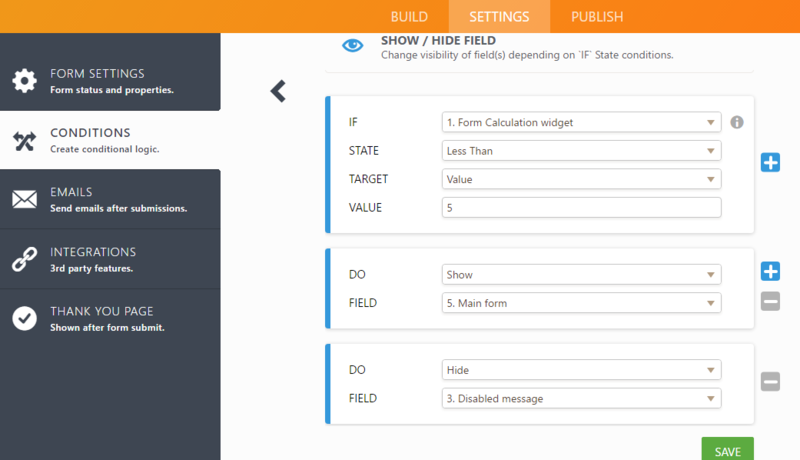 Unfortunately, a part of the main form will display for a few seconds before it will be hidden.